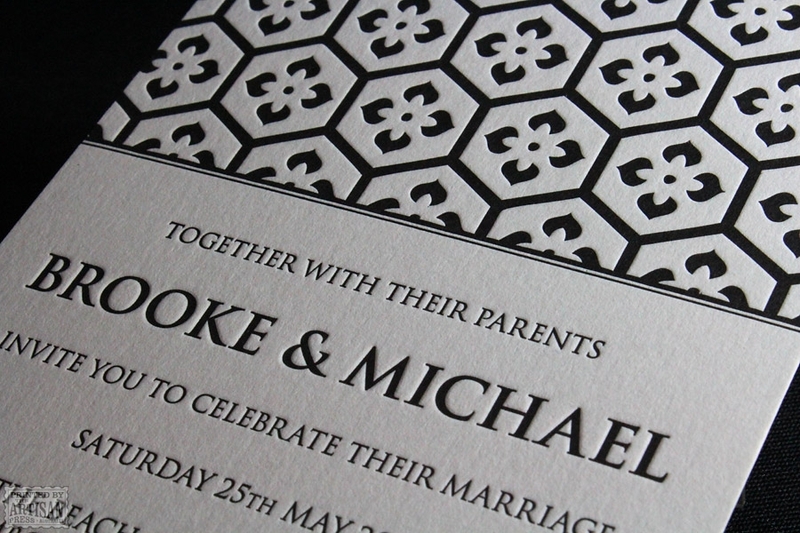 A striking customised design for those with a taste for the bold and a sense for style. 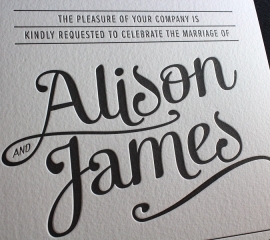 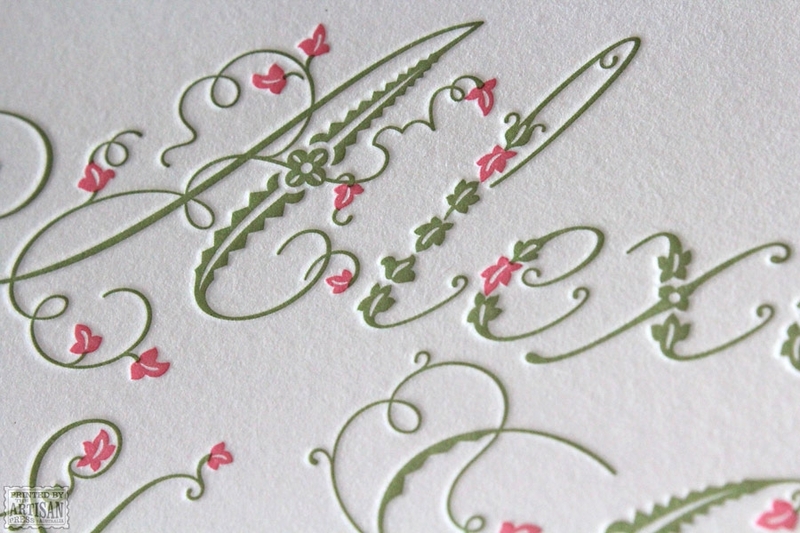 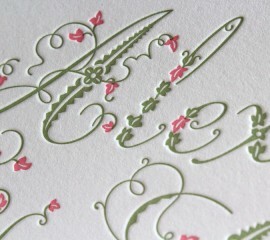 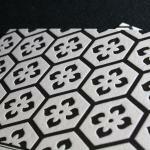 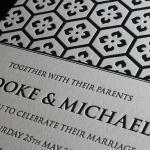 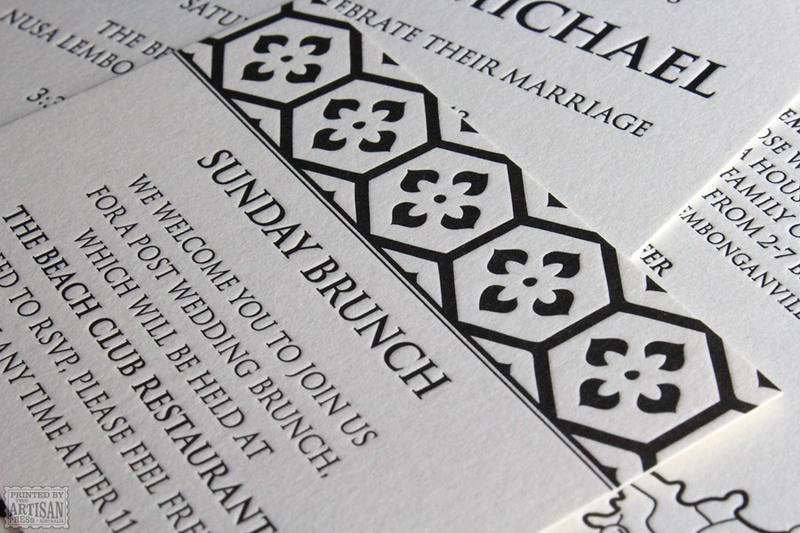 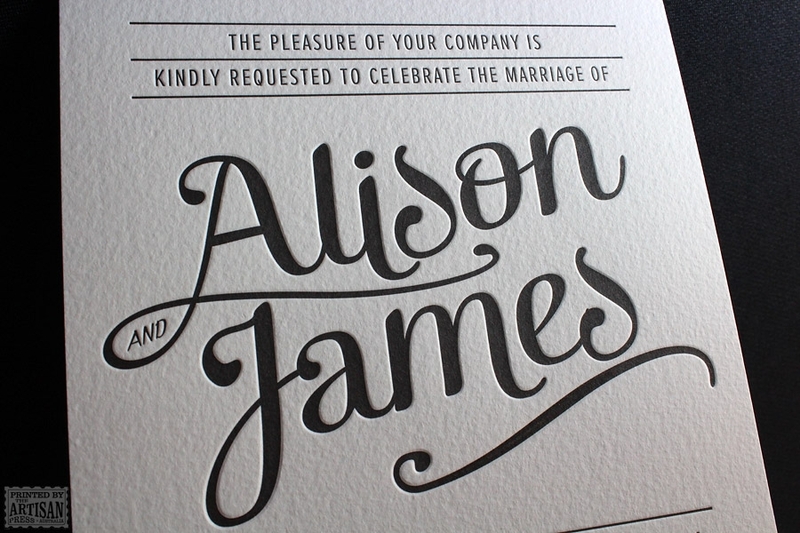 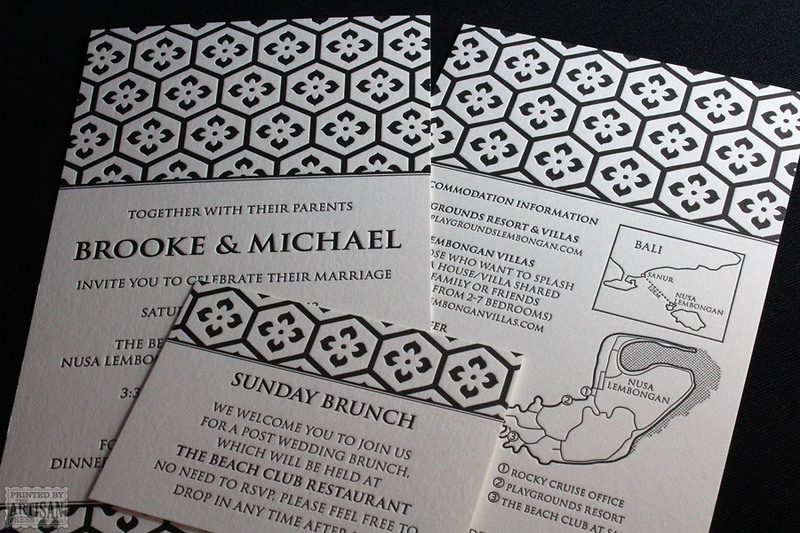 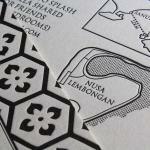 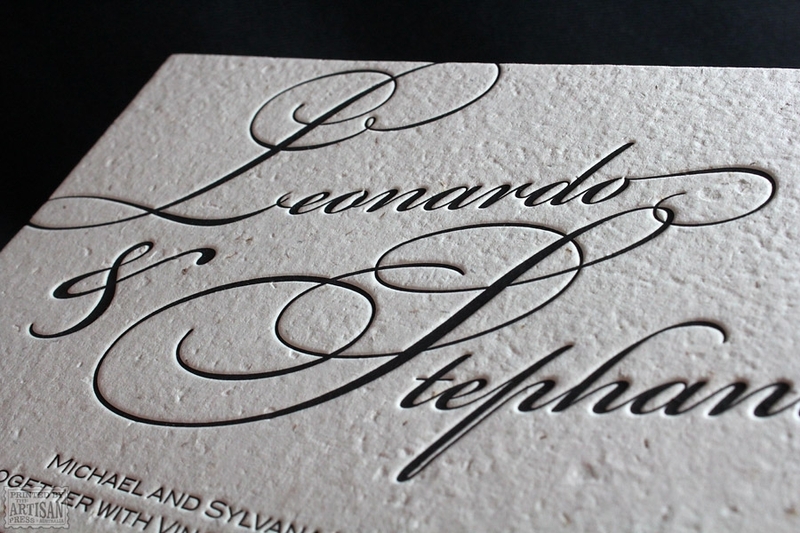 Destination wedding letterpress set for Bali, based on an original batik design. 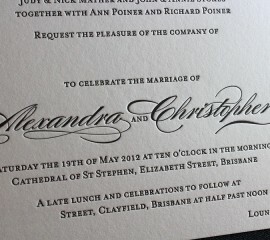 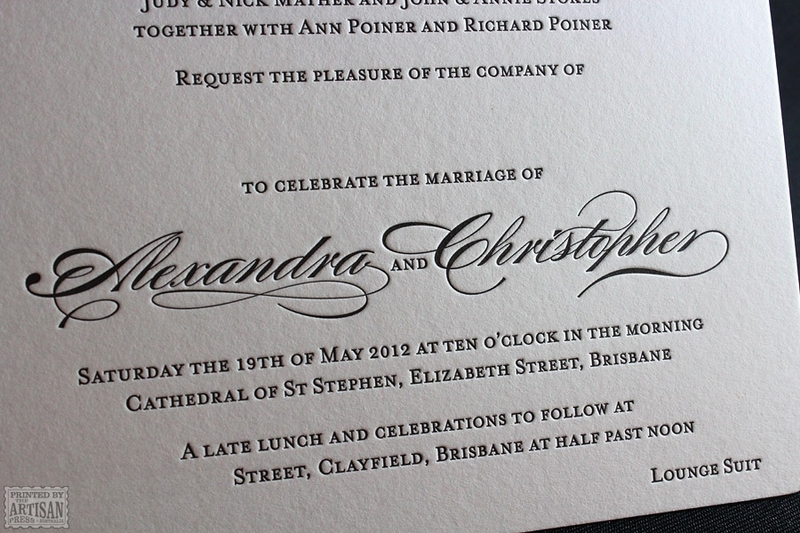 Crisp uppercase type, soft black and ivory combination for a less formal feel. 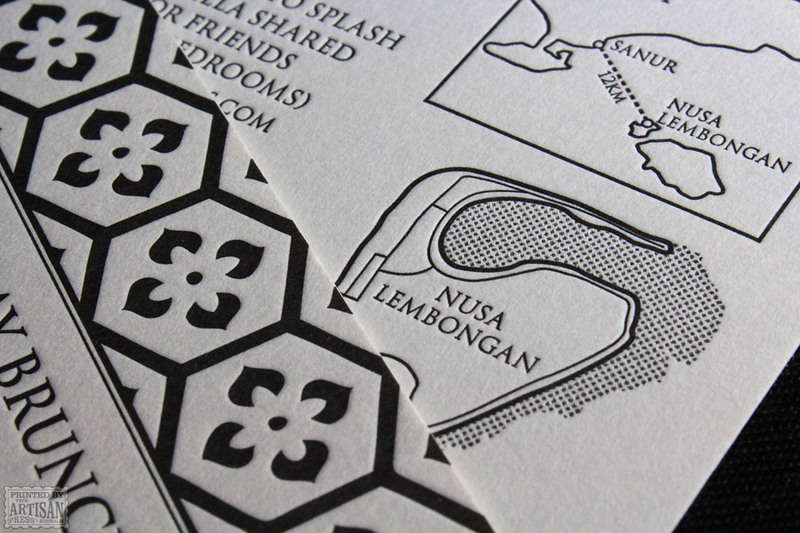 Perfect in one colour. 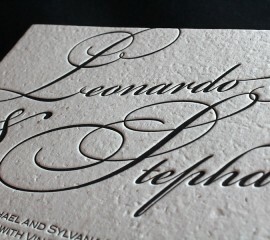 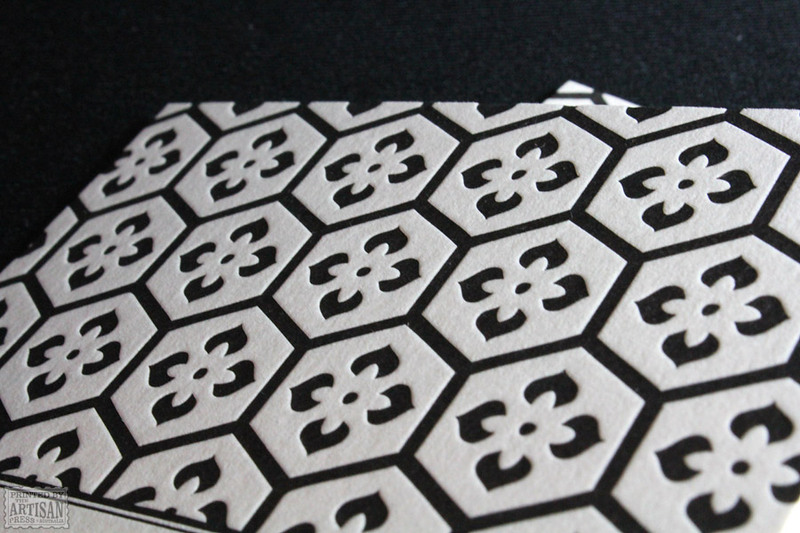 A refined approach to impression finely controlled between the large pattern design and the need for a delicate result on the text in one press pass.